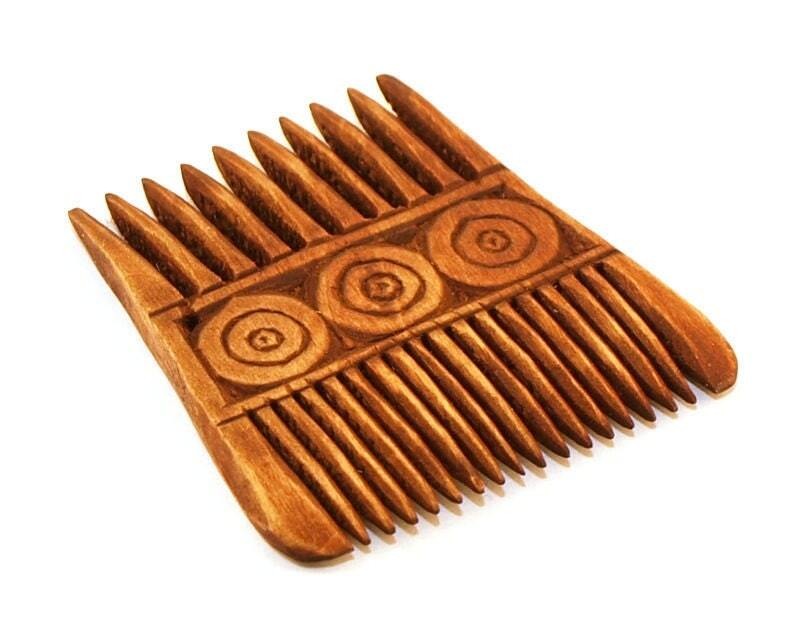 This historical viking wooden comb is carved from alder wood and is finished in linseed oil. Both sides of the comb are almost identical (you know we are craftsmen not a copy machine). It's completely functional comb and can be used purposefully to comb one's hair. This is a double comb with a teeth narrow and wide. The teeth are tight, but even for normal hair suitable. This comb is very durable and may be used for many years. With the hole in the side, the comb is easy to fix on a leather string, so you can carry it on a belt.